Welcome to the Apte Research Group and the Computational Flow Physics Laboratory in the School of Mechanical, Industrial, and Manufacturing Engineering at Oregon State University. This group is directed by Dr. Sourabh V. Apte. 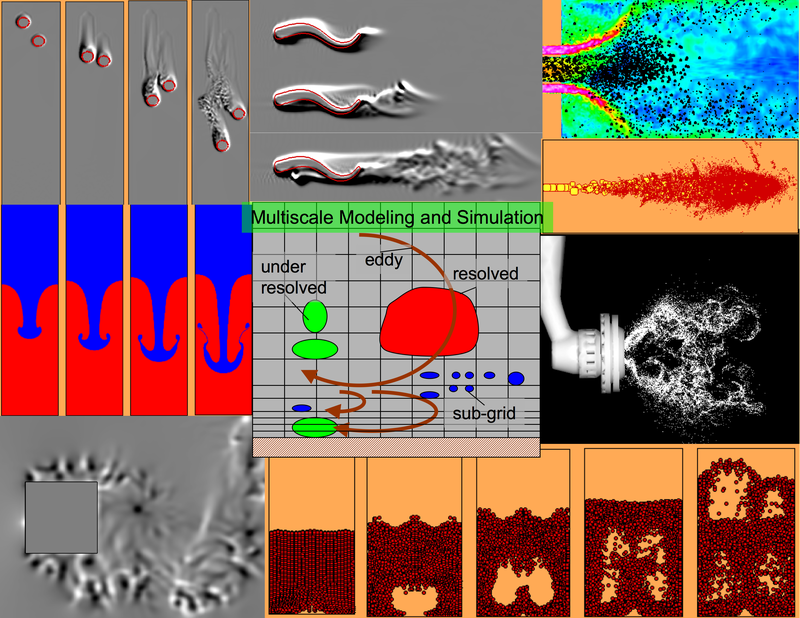 Our primary research focus is on the fundamental analysis of fluid flow problems using multiscale modeling and numerical simulations. We use techniques such as direct numerical simulation (DNS) and large-eddy simulation (LES) for fundamental study of turbulent flows. Specifically, we are interested in multiphase turbulent flows wherein solid particulates, liquid drops, or vapor bubbles are dispersed in an ambient fluid (gas or liquid) undergoing time-dependent, often turbulent, motion. Practical examples include sprays in combustion chambers of propulsion systems, vapor bubbles in cavitating flows, coal particles in oxy-fuel systems and fluidized beds, sediment transport in river and coastal regions, among others. We develop advanced numerical algorithms for DNS or LES of two-phase flows and apply them to gain understanding of fluid flows as well as to predict complex flows in practical engineering systems. These studies involve high-performance parallel computations. We actively seek students to work in our group. OSU undergraduates are strongly encouraged to contact Dr. Apte for senior team projects, honors theses, or graduate level work under the Opportunity Plus program. We collaborate with the Department of Energy's National Energy Technology Laboratory (NETL) in Albany; providing good internship opportunities. ©All rights reserved by the Apte Research Group. Website designed by A. Habbu.